Kwikset’s hardware and home improvement division announces the availability of its SmartCode 888 Touchpad Electronic Deadbolt, the company’s newest introduction in the “entry-level” smart lock category. The SmartCode 888 Touchpad Electronic Deadbolt is designed to integrate with a variety of smart home systems. Featuring a five-button keypad for keyless entry, the SmartCode 888 Touchpad Electronic Deadbolt delivers complete remote locking/unlocking via smartphones and tablets, as well as total home control. 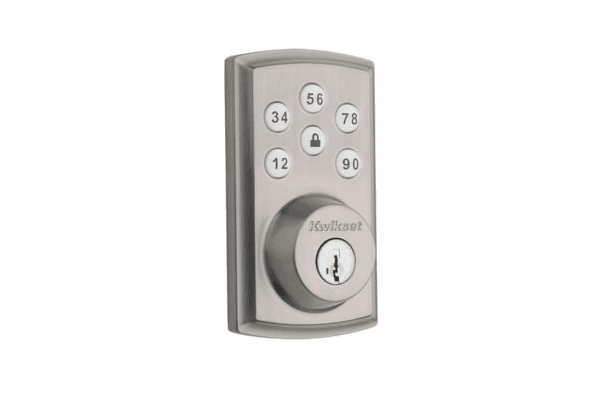 The SmartCode 888 Touchpad Electronic Deadbolt has the capability to hold up to 30 distinct user codes, and the Mastercode feature provides the homeowner with improved user code management. An new feature of the SmartCode 888 is the incorporation of the Z-Wave 500 Series chip. The new chip provides a number of enhancements, including extended wireless range and wireless security features that reduce the vulnerability of the network during enrollment, as well as increased battery life.